In an affluent suburb of Birmingham, a number of Jewish high school students have recently informed their parents of their “conversion” to Christianity, in a process abetted by school policies that permit Christian “youth ministers” to engage in Jewish-targeted missionary activities on school grounds and during school hours. In Pike County, Alabama, a Jewish student is required to write an essay on “Why Jesus Loves Me,” and to attend a mandatory school assembly at which a minister states that all who do not accept Jesus are condemned to hell. College students in a Pennsylvania University have sat through classes where one of their professors has openly stated that those who don’t believe in Jesus as their lord and savior, will burn in hell. The same professor has invited numerous Jewish students out for coffee, and to his home, for Bible study and prayer. In Utah, a Jewish student who objects to participating in Mormon worship during choir class is humiliated by her teacher and ridiculed by her classmates. Faced with a missionary agenda that is well-financed and widely supported, as well as a series of conflicting court decisions, even many well-intentioned school officials are confused as to how to respond. The following Questions and Answers are intended to help. WHY IS THIS ISSUE SO COMPLICATED? The First Amendment to the Constitution states that “Congress shall make no law respecting an establishment of religion, or prohibiting the free exercise thereof.” Our Founding Fathers wisely sought to maintain government neutrality in matters of religion: the government was prohibited from advancing a particular set of religious beliefs and from unreasonably interfering with the private exercise of those beliefs. This requires a careful balancing of often competing demands, a balance that is threatened by the increasing militancy on the part of the Christian Right – precisely the segment of the Christian community that is most active in Jewish-targeted conversionary efforts. While the Constitution’s “Free Exercise Clause” prohibits the government from regulating religious beliefs, the “Establishment Clause” has been interpreted to mean that any valid public school policy must (1) have a primarily secular, rather than a religious, purpose; (2) have the primary effect of neither advancing nor inhibiting religion; and (3) avoid an excessive entanglement between government and religion. ARE STUDENT RELIGIOUS CLUBS PERMISSIBLE IN THE PUBLIC SCHOOLS? Under a federal law known as the Equal Access Act, public secondary schools (high school and above) must generally give equal treatment to all student-initiated groups, and may not treat student-led religious groups less favorably than they treat other types of student-led groups. In order to be entitled to such equal treatment, however, the groups must be student-initiated, student-led, voluntary, and open to all students. 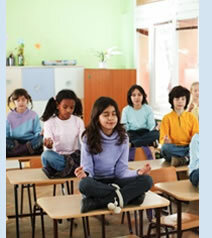 School teachers and other school personnel may not initiate, promote, lead or participate in religious club meetings. Similarly, outsiders – including members of the clergy – may not control, direct or regularly attend the meetings of these student groups. ARE STUDENTS ALLOWED TO DISTRIBUTE RELIGIOUS MATERIALS TO OTHER STUDENTS IN THE PUBLIC SCHOOL? Yes, on a limited basis. Schools have the right to prohibit such distribution if it disrupts the schools functioning or involves coercive proselytizing. IS PRAYER ALLOWED IN PUBLIC SCHOOL? 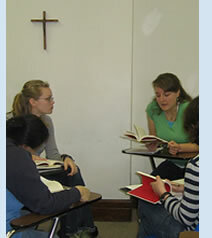 Students have the right to pray on an individual and voluntary basis so long as it is neither disruptive nor coercive. Such prayers cannot be led by teachers, coaches, or other school officials, nor can such officials solicit student volunteers to lead prayers. Also generally prohibited are prayers at school assemblies, graduation ceremonies, and school football games, whether led by students or by others. WHAT ABOUT OUTSIDE RELIGIOUS GROUPS  MAY THEY MEET IN THE PUBLIC SCHOOLS? Outside religious groups may not meet in the public schools during normal school hours. After school hours, outside religious clubs and organizations can meet in the schools if the school allows other types of outside organizations and clubs to meet at the same time. The school district must affirmatively make clear that it is not endorsing the groups religious views or activities. 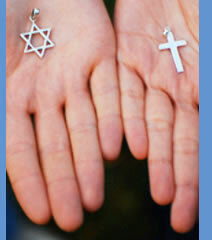 MAY TEACHERS SHARE THEIR PERSONAL RELIGIOUS BELIEFS WITH STUDENTS? In general, public school teachers may not advocate particular religious beliefs when dealing with students. THESE LEGAL REQUIREMENTS ARE BEING IGNORED IN MY CHILDS PUBLIC SCHOOL. WHAT CAN I DO? When you become aware of apparent legal violations, dont remain silent. Contact the schools principal, the district superintendent of schools, and the school board. Most school officials want to do the right thing, and dont want to see religious coercion in their schools. In the unusual case where such interventions prove to be ineffective, the threat of litigation may bring about the desired response. To the extent that religious activity is permissible in the public schools, it is often the case that only Christian groups have exercised their legally-protected rights. Just as Christian groups have availed themselves of the federal Equal Access Act, so too can Jewish groups. Consider helping to organize a student-led Jewish group in your childs public school, or inviting an engaging rabbi or dynamic Jewish educator to lead an after-school group. We have the same right of access as the missionaries (and, of course, are subject to the same legal constraints).